Does this sound weird. Like what? Facebook app was not on an iPad? Well..it was not until now. Facebook recently launched the new application that could be installed on the iPad easily. Due to the devices massive screen, the Facebook app really shines high as compared to on iPhone. There are few differences in the iPad version where we get to have a more wider work space. As shown in the picture above, the notification menu lays over the page, as a separate window which was not possible in iPhone due to the screen size. Scrolling through pictures is really easy and fun in Facebook for iPad. Simply scroll (wipe) across the page to change the pictures. 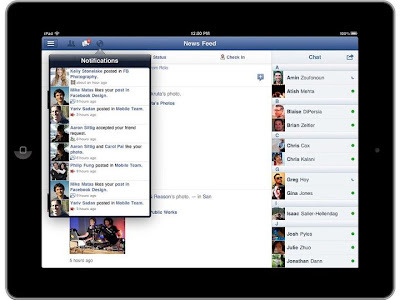 With Facebook for iPad, now you dont need to look up for your notes, games, pages etc. Every thing is nicely lined up in the menu over left that is initiated with the blue button over top left of the app. Other settings like friends requests, notifications and news feeds are right in front over the top blue tab. 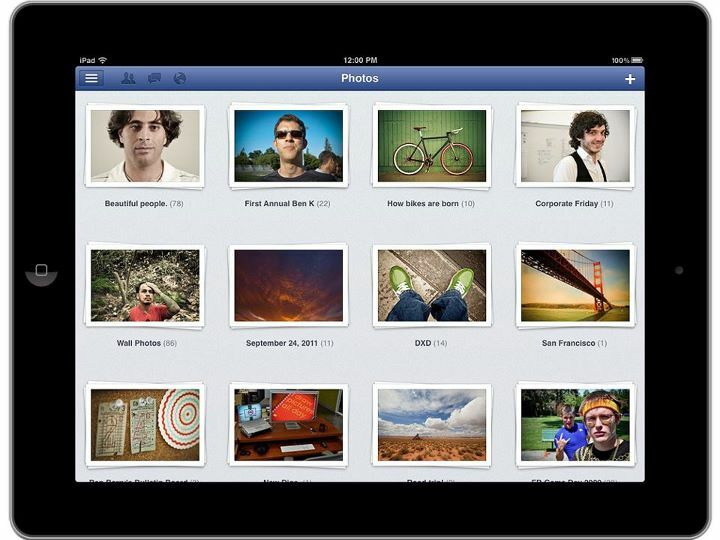 Every thing is accessable pretty easily with the new Facebook for iPad version. So what to wait for. Download Facebook for iPad now. Do you guys really use Facebook or other social media apps on your cellphones? Or you prefer the text based updates option? Thank you Awan, your post is always informative.